Product Description: Stress free writing! 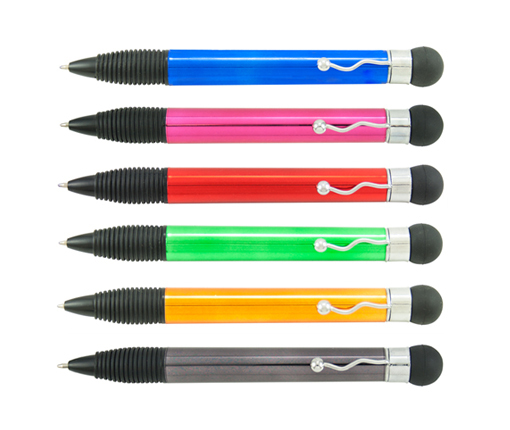 Stress ball plunger at end of pen has a soft feel allowing it to be pressed in all directions to retract ballpoint tip. Shiny metallic finish. Can be printed or engraved. Medium black ink.